No one likes to see their truck's "Check Engine" light come on. The light could mean a costly problem, like a bad catalytic converter, or it could be something minor, like a loose gas cap. At Master Tech Service Center, we can pull the code and diagnose the problem for you. Give us a call at 817-268-3772 or stop by the shop for our expert assistance. Modern vehicles are fitted with at least one onboard computer. The computer's main function is to monitor and adjust the engine and transmission. Computer testing and diagnostics is an integral aspect to professional electronic work on modern cars. Computer diagnostics help find the root causes of major and potential automobile problems. At Master Tech Service Center, we have state of the art computer diagnostics equipment such as digital code readers, pressure test kits, circuit testers, digital tachometers and more. Call 817-268-3772 or visit our auto shop in Hurst, TX 76053 for all your vehicle's computer diagnostic needs. Drivability is the degree of smoothness and steadiness of your truck's acceleration. Most modern vehicles are fitted with on-board computers that continuously check the readings from various sensors. In case of drivability problems, you will receive a warning message on your truck's dashboard. 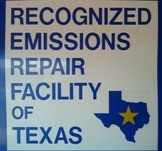 To have your truck diagnosed for drivability issues, visit Master Tech Service Center in Hurst, TX 76053 today. At Master Tech Service Center, we have the necessary tools, training, and technology to diagnose and address your vehicle's drivability issues. Basically, an engine control system is an on-board computer in your truck. Like all computers, the engine controls are composed of hardware and software. Automotive engine control systems are responsible for regulating exhaust emissions, and providing increased fuel economy. To get the best out of your vehicle's incredibly powerful technology, make sure engine controls are working properly. To check if your truck's engine controls are working properly, call Master Tech Service Center today.